New treatments for psychiatric disorders are urgently required. 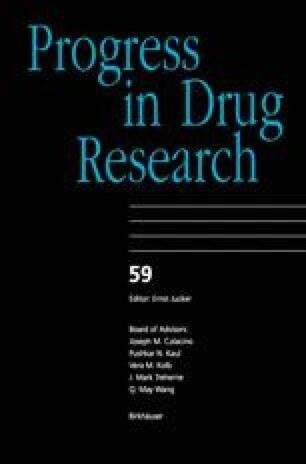 Recent reviews show that there have been no improvements in efficacy of drugs for either affective disorders or schizophrenia since the first compounds were introduced over 40 years ago. Neuroactive lipids represent an entirely novel class of psychotropic compounds. Ethyl eicosapentaenoate is the first example of this group. Placebo-controlled studies have found it to be effective in depression, in treatment-unresponsive schizophrenia and in tardive dyskinesia. It is extremely well tolerated with none of the usual side-effects of either antidepressants or neuroleptics. It probably works by modulating post-receptor signal transduction processes. Depression schizophrenia bipolar disorder tardive dyskinesia tricyclic antidepressants selective serotonin reuptake inhibitors (SSRIs) typical neuroleptics atypical neuroleptics clozapine ethyl eicosapentaenoate (E-E) eicosapentaenoic acid (EPA) arachidonic acid (AA) docosahexaenoic acid (DHA) signal transduction phospholipids phospholipases Huntington’s disease.